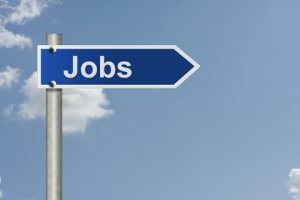 A recent survey by University of Phoenix on American job security has found that the current economic climate has bred significant worry over job loss. Over 60 percent of working adults are concerned about losing their jobs with 20 percent considering the possibility at least once per week. Almost 10 percent think about it at least once per day. These fears also seem to tie in to lower productivity levels as 44 percent of working adults can identify ways that the economy has affected their work performance and career decisions. Of workers who admit to economy-related productivity issues, 34 percent said that they are less likely to speak up while another 34 percent have avoided looking for a new job. Over 25 percent have not sought out promotions and 24 percent said they are more competitive with coworkers. The one bright note was that 30 percent of these workers have begun to volunteer for more projects. Residents of New York City were found to be most worried about losing their jobs (78 percent) while the national average sat at 61 percent. Conversely, San Francisco workers were the least worried population with 59 percent never worrying about job loss. Other metro areas such as Los Angeles (63 percent), Atlanta (62 percent), and Chicago (60 percent) also reported high levels of worry.